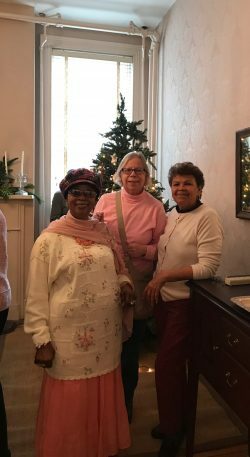 The Christmas spirit has arrived at The Aged Woman’s Home of Georgetown with the annual tree trimming and decorating of the Home by the The Town and Country Garden Club. 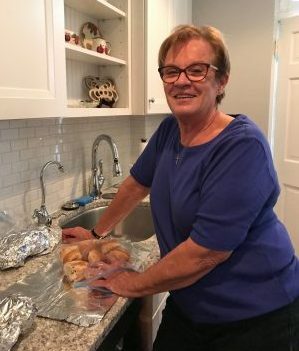 This year Martha Volner lead the decoration committee and Margaret Glacken prepared a delicious lunch for guests and club members to enjoy. 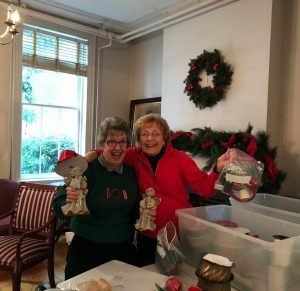 Other Garden club members decorating were President, Linda Derrick, as well as Donna Foster and Kathy Luedeke. The garlands made are adorned with red bows and greens while candles decorate the mantles. 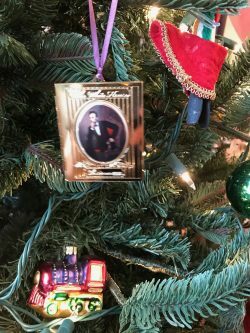 The tree is filled with tiny white lights and an assortment of ornaments, some old and some new. 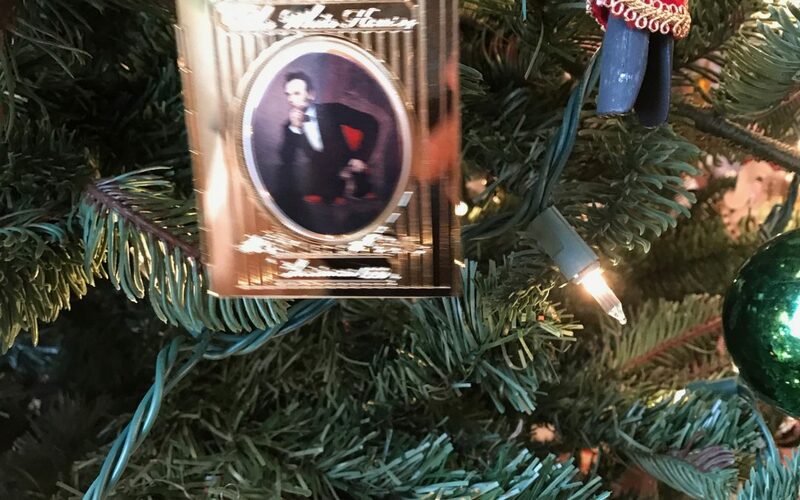 If you look closely you will see many White House Ornaments from over the years which we especially love. 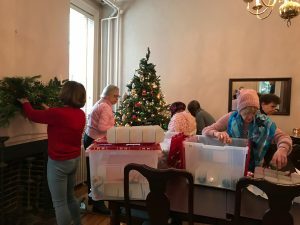 You might even see a few old Globe Ornaments from 75 years ago. 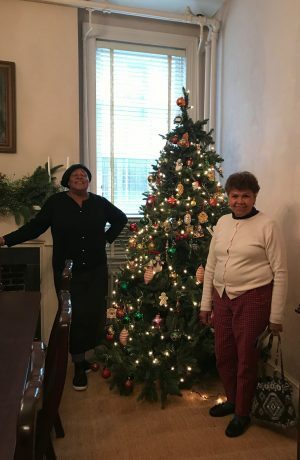 Our guests enjoyed trimming the tree after our handyman did a wonderful job helping to set it up. If you walk by the Home during the Holiday Season, look up to see the beautiful wreath on our door welcoming all to enter.